Prince of all fish - exquisite to look at and eat with a Green-ish Aura. The Green Mussel will be Fresh catch from a day before that will be live all the way to our processing center but not live (shells open up) from then till your door step as we freeze it along with other fish but will taste just as good! 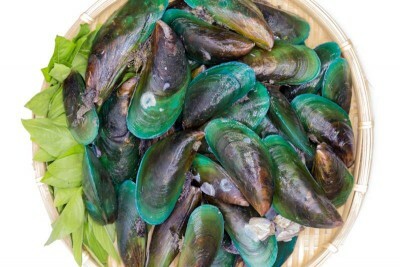 Green Mussel with external shell - Molluscan species rich in protein, vitamins and minerals.